taking advantage of the Fourth Industrial Revolution, incorporating methods such as robotics process automation and applying it to finance. – delivering functional excellence, and implementing the finance function of the future. 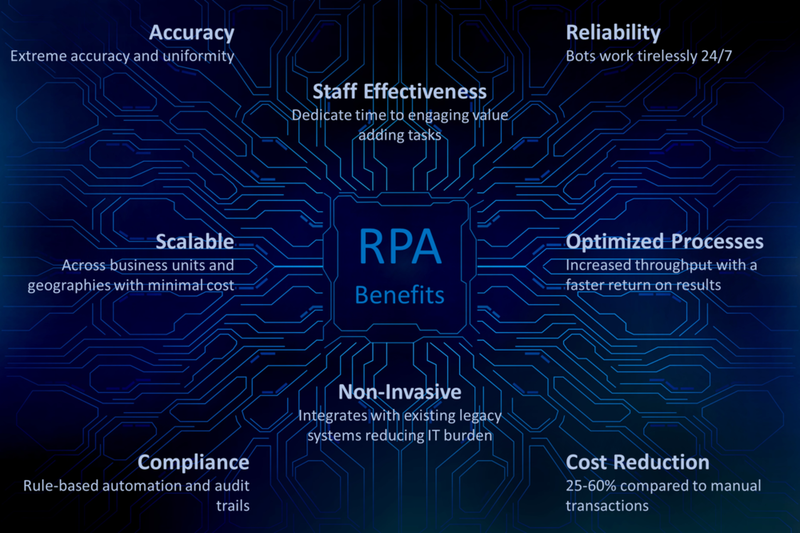 Robotic Process Automation (RPA) is the automation of rule-based processes by using software frameworks. Most solutions handle repetitive tasks, collect data and reduce the need for manual input. RPA is cross-functional and cross-application meaning it can be implemented into most environments and integrate with most applications.